In Strömstad, trade and industry have seen solid growth over the past ten years. This growth has been mainly due to Strömstad’s strategic location close to the border. The Strömstad municipality is neighbour to Norway’s region with the highest population density, where a million people live between the border and Oslo. The growth is also due to the attractive coastal landscape, which is a magnet for tourists. With 3.6 million tourists visiting annually, Strömstad has one entire million visitors more per year than Stockholm. The motor for trade and industry is the experience industry, which includes the strong commercial sector. Other prominent businesses are knowledge enterprises, service providers, marine and maritime applications and handicraft production. By putting much effort into developing roads and railways, Strömstad has become more accessible. This gives rise to new property developments for business operations. The proximity to Östfold, which is one of Norway’s most expansive regions, also affects development positively. In Strömstad, we find a strong concentration of expertise in the field of tourism, with particular focus on commerce. It’s mostly about business development and cooperation, but also about formal competences in fields such as customs clearance, which many of the service providers established in the municipality are specialised in. Thanks to tourism, there’s extensive know-how in the field of disciplines such as transport, maintenance, security, handicrafts, banking, accountancy and architecture. There’s also a wide variety in competences in small businesses. Know-how in the field of marine applications is quite developed, amongst others as a result of the Sven Lovén Centre, which is part of the University of Gothenburg, and is based here. The Centre is also the driving force behind the Tjärnö research centre. On the Koster Islands, we find the Koster National Park, which is Sweden’s first marine national park. There’s a good supply of land for industrial purposes in Strömstad. Premises can both be rented and purchased, and for smaller operations there’s a business hotel. 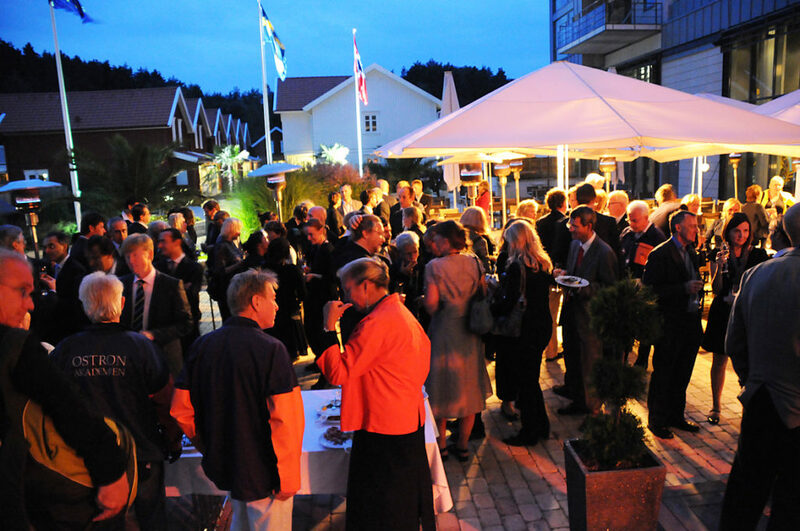 Through the years, many networks and forms of cooperation have been developed naturally within trade and industry in Strömstad’s municipality, above all in relation to the experience industry. These are both formal as well as informal networks. Trust and cooperation are decisive factors when Strömstad develops a viable and durable entrepreneurial climate. Against this background, these networks and meeting places are particularly significant. The objective is to achieve a creative, small-scale business climate, based on cooperation. A national target was established for doubling tourism figures by 2020 and in this endeavour, Bohuslän is one of five selected areas. Strömstad and the Kosterhavet National Park are prioritised areas. This opens up possibilities to further developing Strömstad as a destination. Strömstad is an attractive place to live in, with grand nature and the sea around the corner. Population increase is considerable. It’s a challenge for the municipality to fulfil all the needs that extended public services entail because of the rise in population. An area that has been given priority by the municipality is the expansion of a broadband infrastructure that ensures access to modern IT communication. Committed entrepreneurs actively take part in the expansion, partly by developing land and building homes. Where connections are concerned, the E6 is the municipality’s main traffic artery. By car, the nearest international airport is less than 50 minutes away. Ferries to Norway constitute an important connection, with 1.2 million travellers per year. Strömstad has a rich cultural life, the year round. Thanks to the intense tourism, there’s a continuous demand for cultural experiences and entertainment in the form of events, exhibitions, festivals and the like. The proximity to the sea and the closeness to Norway characterise the supply. The leisure sector in Strömstad is thriving even more during the summer months, with lots of possibilities for everything connected to swimming and boating. The extensive club activities are of great importance for leisure activities for children and youths. There are many leisure facilities in the municipality. These provide the basis for a wide variety in sports and athletics.